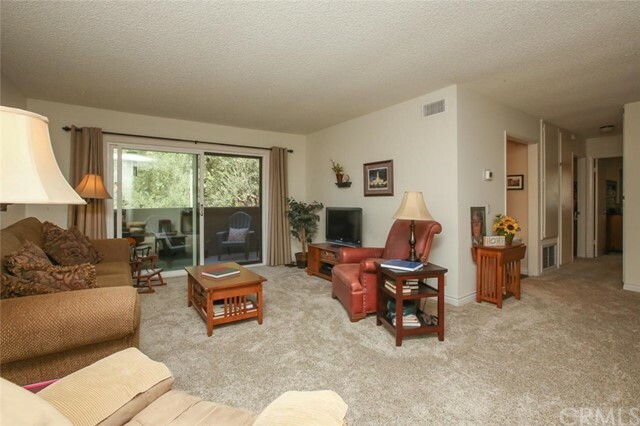 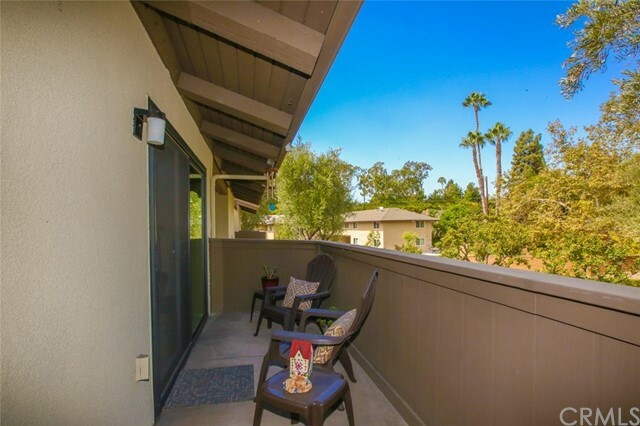 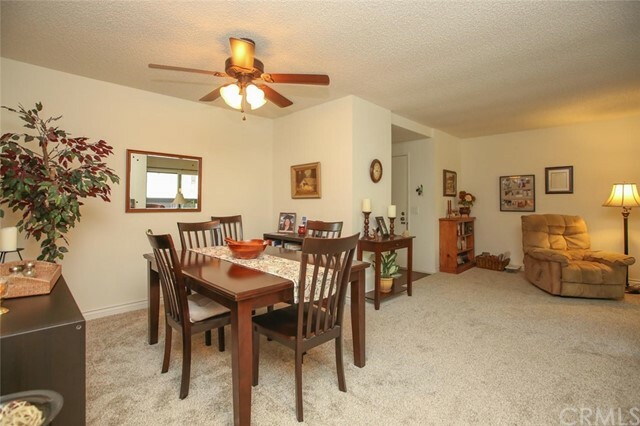 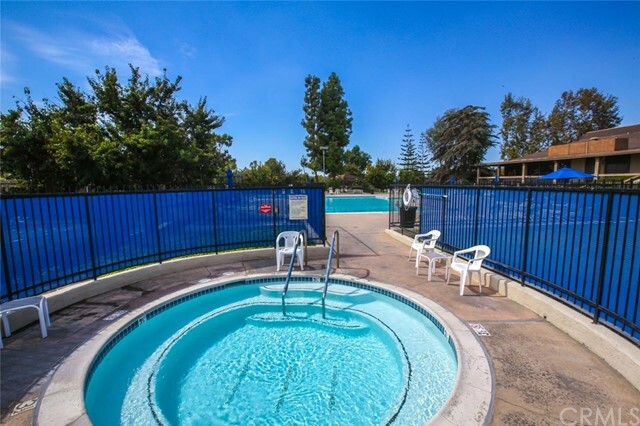 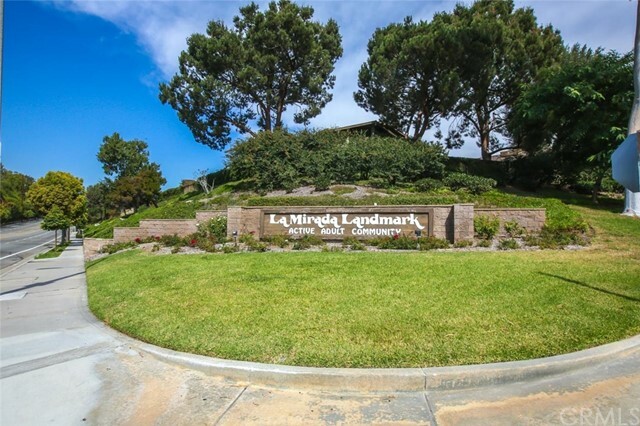 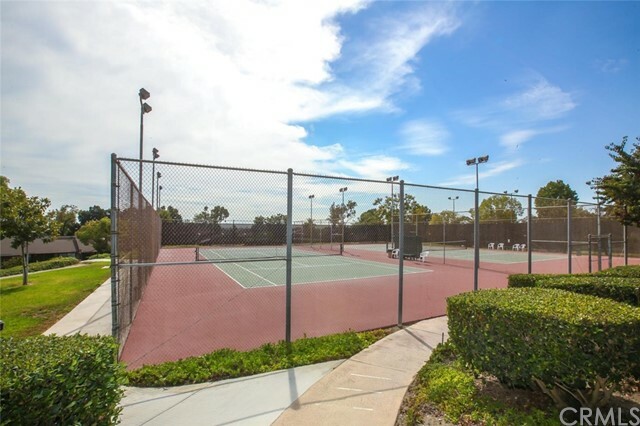 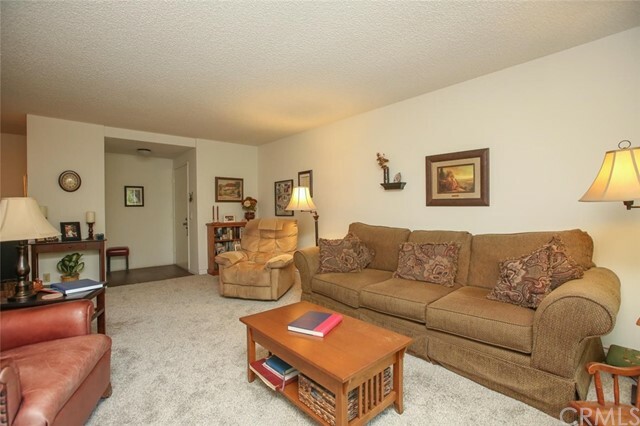 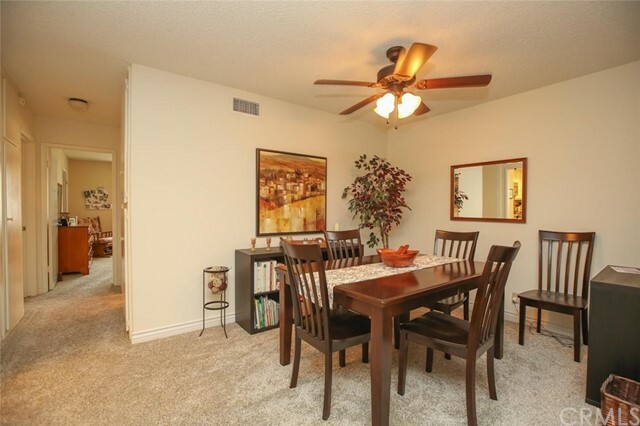 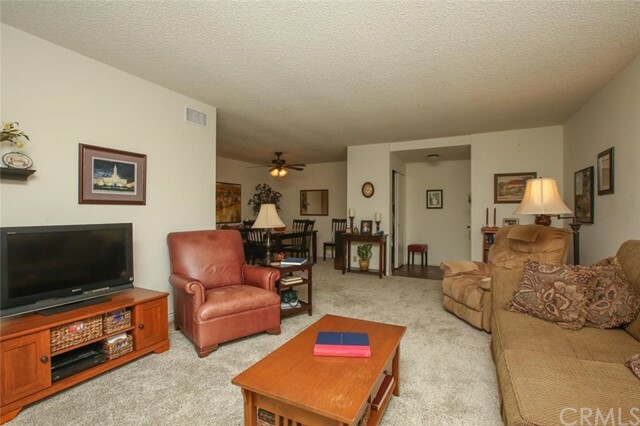 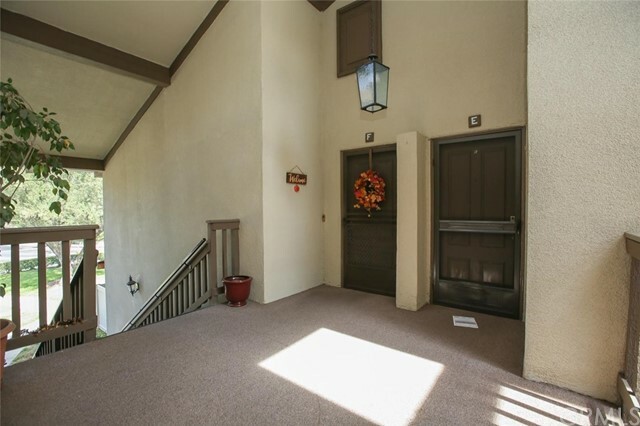 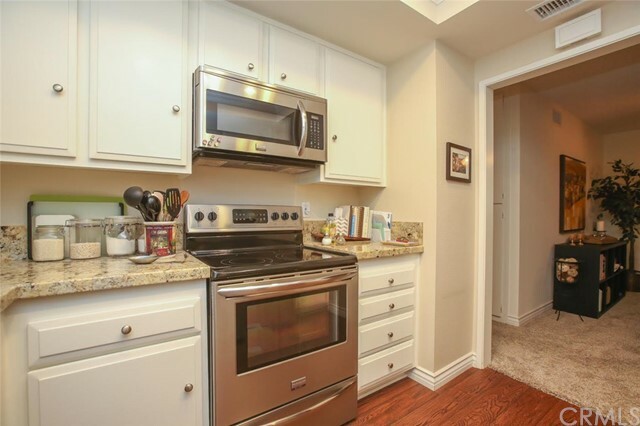 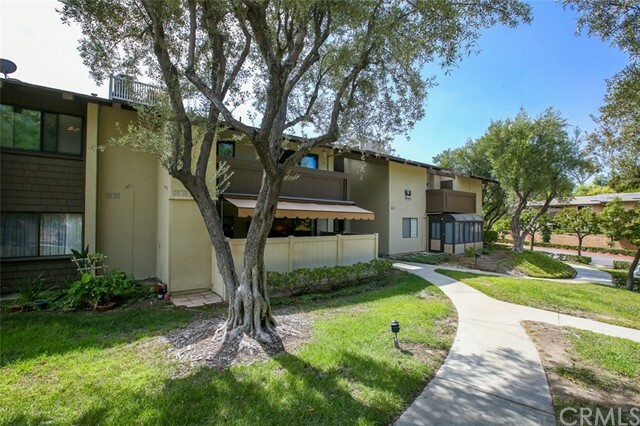 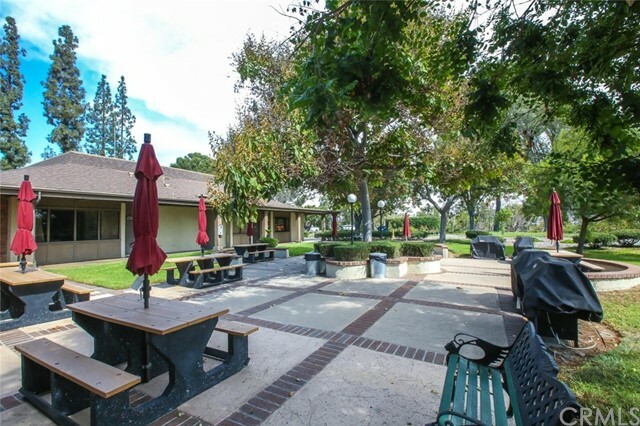 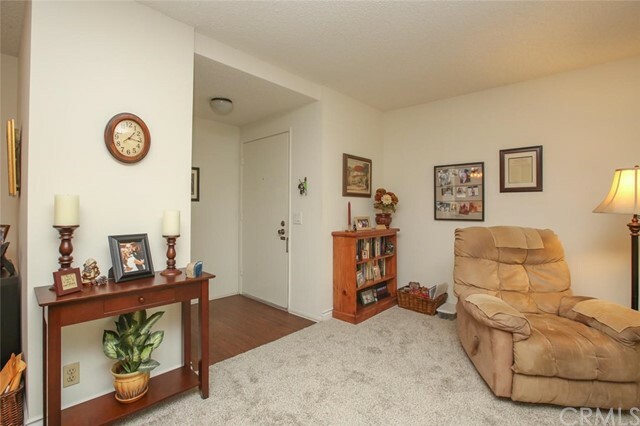 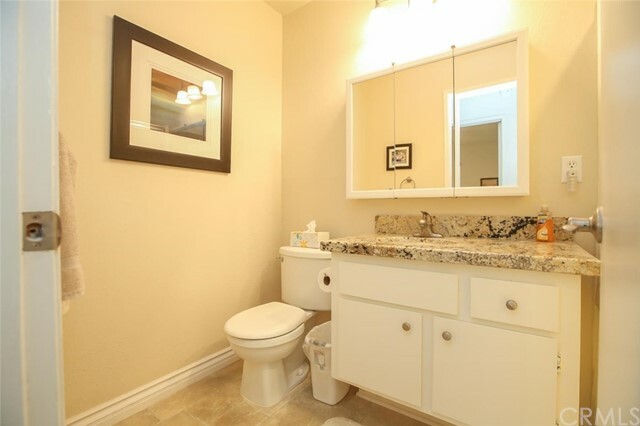 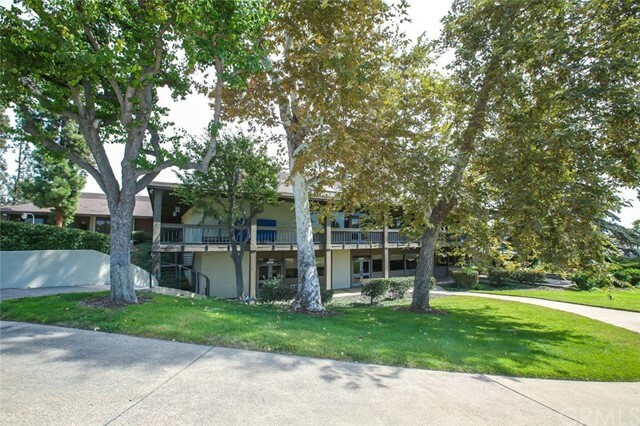 Located in the 55+ 24/7 gated community of La Mirada Landmark, this condo is move in ready! 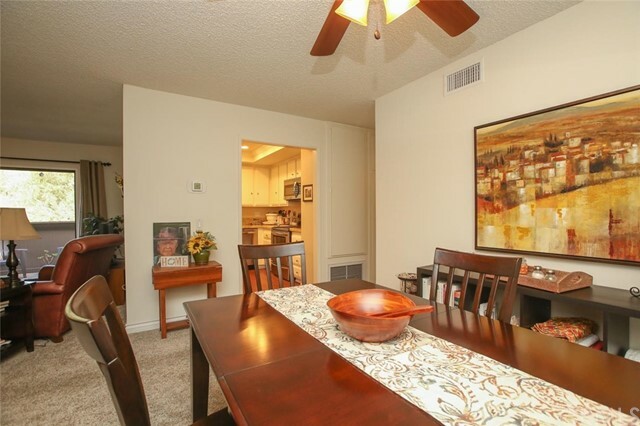 It has 2 bedrooms & 2 baths and has extensive upgrading. 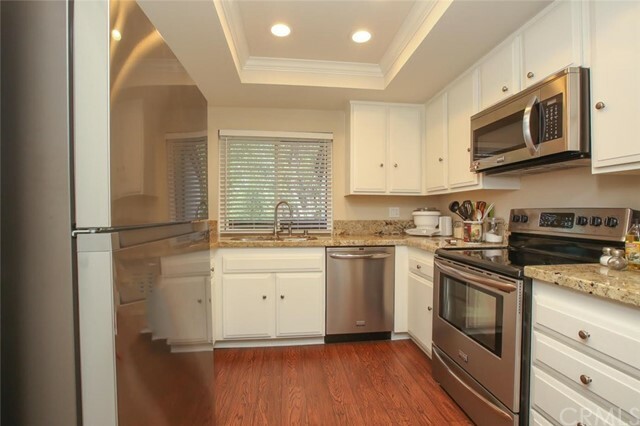 The kitchen has granite counter tops, new wood look vinyl flooring, new stainless steel appliances and ceiling with recessed lighting. 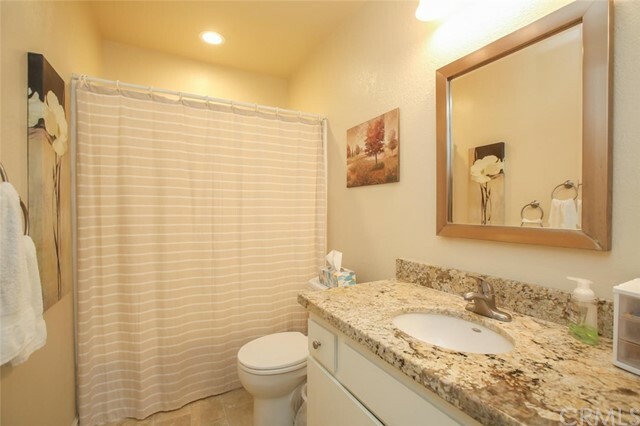 Both of the bathrooms have granite counter tops, new fixtures, new flooring and recessed lighting. 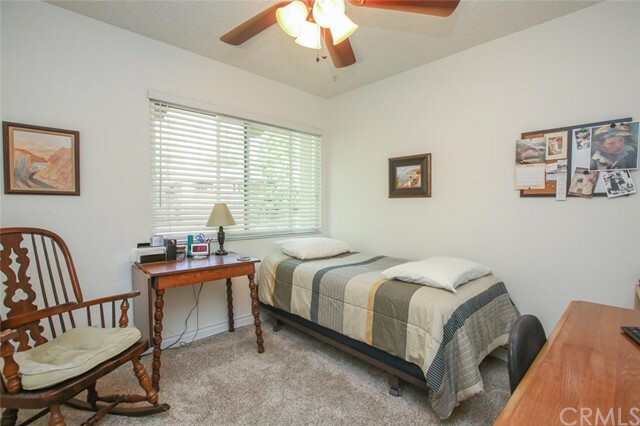 There is also new carpet and base boards through out the rest of the home as well as new dual pane windows and a new glass slider to a private balcony. 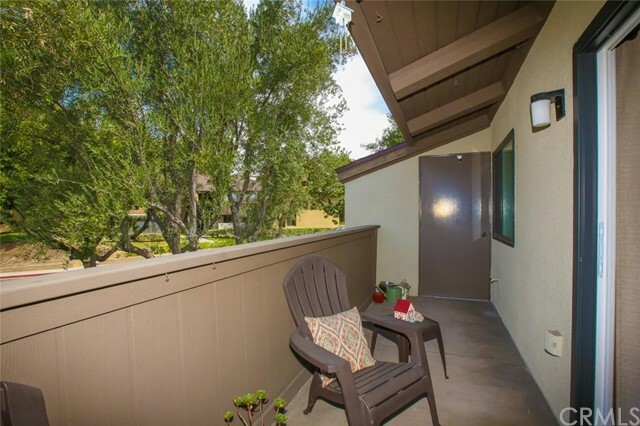 The washer and dryer are located in a cabinet on the balcony and will remain with the home. 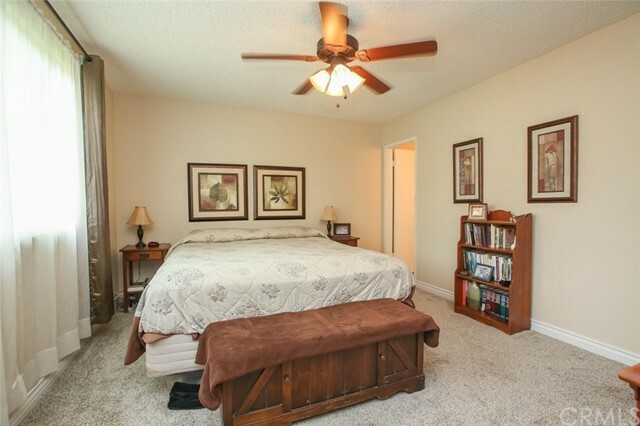 Both bedrooms are spacious and the master bedroom has a huge walk-in closet. 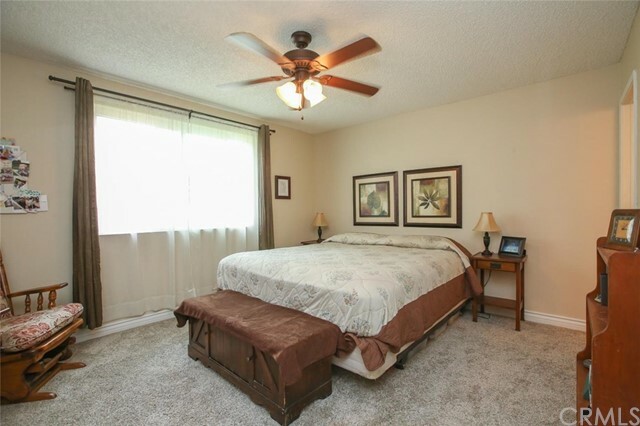 Air conditioning, heating and all of the duct work was replaced last year as well as the water heater. 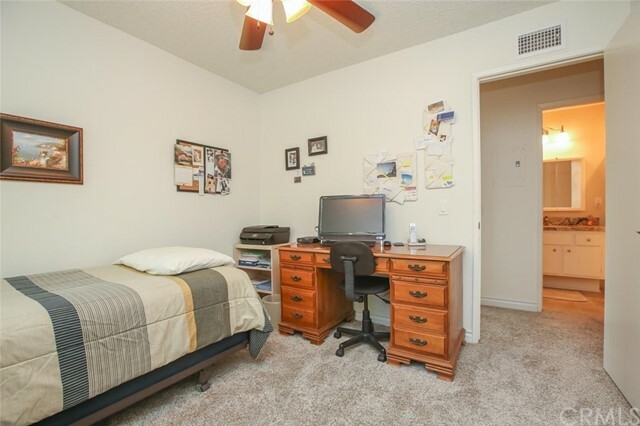 This unit come with a detached 1 car garage that has a new door. 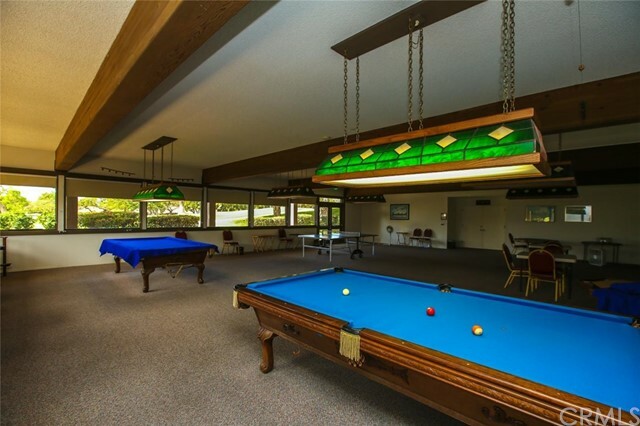 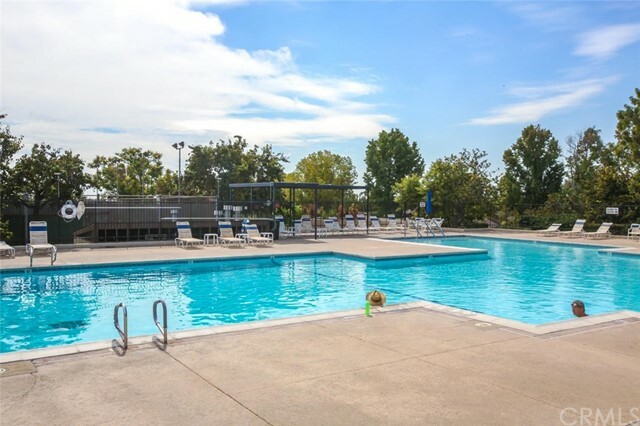 The Landmark community has an array of services to enhance the quality of life for residents, such as a large pool, spa, tennis courts, wood shop, gymnasium, community club house, art and craft room, library, putting green and much more.